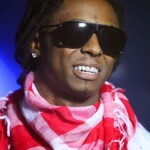 Our very own gulf coast rapper from New Orleans, Lil Wayne will release his rock album debut, Rebirth, on April 7th. First single, “Prom Queen“, will be released January 27th on the Internet right after a live stream of his concert in San Diego. The show will be available for stream on MySpace.com. Next Next post: Helping Boost The Indie Music Revolution!